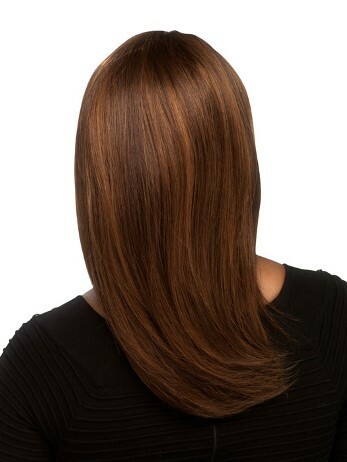 The H-201 style�is an 18" sleek, silky straight, page style with a natural looking center skin part. This style is also known as Charli in the synthetic collection. 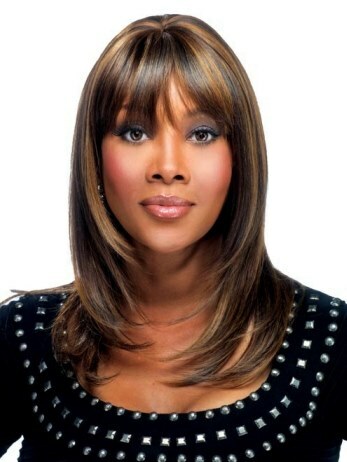 This 100% human hair wig is part of Vivica Fox's Pure Stretch Cap Collection. Pure Stretch Cap - The Pure Stretch Cap stretches throughout the entire perimeter of the wig, featuring super thin dual-stretch sides and an open cap construction. The top of the cap has a closed flower netting that helps maintain the durability and original shape of the style. Center Skin Part - The center skin part accents the style and gives the appearance of natural hair growth at the part. Adjustable Cap - The cap has adjustable straps for fit and comfort that allow the wig to be tightened or loosened up to 1/2 inch. Front: 4.75" Crown: 12" Nape: 10"